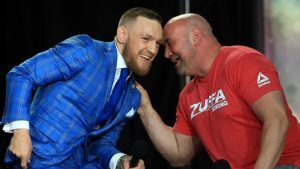 What is the Hold Up for Zuffa Boxing? 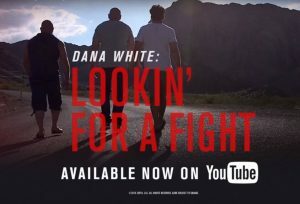 It has been about a year now since the combat sports world first saw the “Zuffa Boxing” image across UFC President Dana White’s red Reebok shirt. This was during the hype for the Conor McGregor vs Floyd Mayweather Jr fight in August of 2017. How the time does fly . . . Shortly after the bout, which was largely a financial success, Dana White announced that the rumors were true. The UFC parent company was indeed looking to enter the boxing ring as the world’s newest promotion on the block. There have been rumors that White’s first big signing would be Anthony Joshua, which is certainly a go-big-or-go-home type of move. Though that doesn’t seem to be in the cards right now, it would be a stretch to think that this the primary reason for the delay. White has also commented that Joshua’s manager, Eddie Hern is “oversensitive.” No one ever said White was good at making friends. The UFC has certainly kept White busy, hosting a card nearly every weekend. Plus additional shows like “Dana White’s Tuesday Night Contender Series” and “Dana White- Looking for a Fight.” Both of these require White’s presence. Though a busy man, that is certainly not the only reason for the delay in Zuffa Boxing progress. All of White’s previous assertions about what Zuffa Boxing will and won’t do could be complicated. The promotion will need a full roster if it is going to operate independently of other organizations and sanctioning bodies. It would need to the time and resources for promotion, and is limited on partners with De La Hoya and Arum out of the question. Not to mention the legalities of skirting the Muhamad Ali Act. “This is one of those things I said I’m going to put my toe in, I’m not diving in head first. We’re still working on stuff. A lot of things didn’t line up the way that I thought they would in the boxing world when I said we’re about to make a ballsy move,” White said on UFC Unfiltered.